Fear not, my friend! Your salvation is at hand. …then click View > View Options. Lastly, check the “Motion Paths” box and hit “OK”. Congratulations! 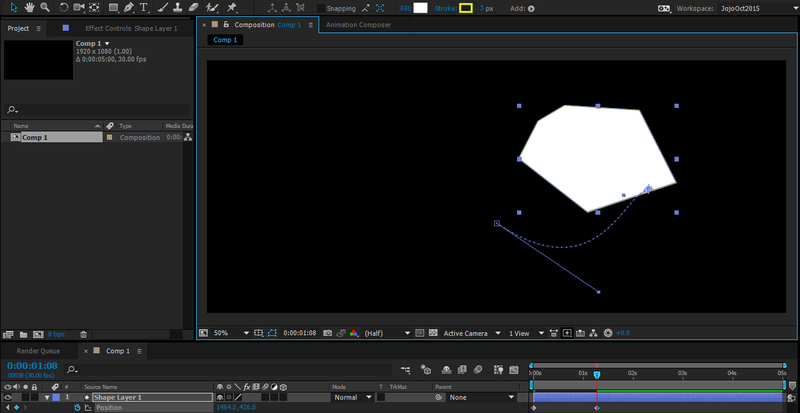 You can now — FINALLY, after numerous bugged versions of After Effects NEVER showing motion paths — see motion paths, ALWAYS ALWAYS. Drag those little control boxes around to your heart’s content, and be the animation rockstar you were born to be! THANK YOU! This appears to be the only place on the internet with the answer to this question. Everyone else just suggests the things you mentioned in the first paragraph. Damn, that still didn’t work for me. DO you have an idea what else it might be? Hmm, which version of After Effects? In addition to the steps above, try View>Show Layer Controls. Once I did that I was able to adjust the animation curve with the points and handles. Loved the presentation!!! but sadly did not work for me… I Have CC 2018, It was Checked as a default. any ideas? I have 2018 CC and I can’t see motion paths either.